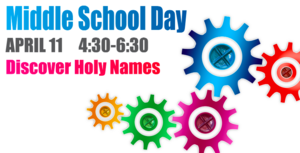 Discover Holy Names High School on Thursday, April 11 from 4:30-6:30pm! Click on the title to learn more. Fifth, sixth and seventh grade girls are invited to a special preview of high school life. Start the afternoon with an excerpt of Once On This Island, Holy Names’ spring musical. 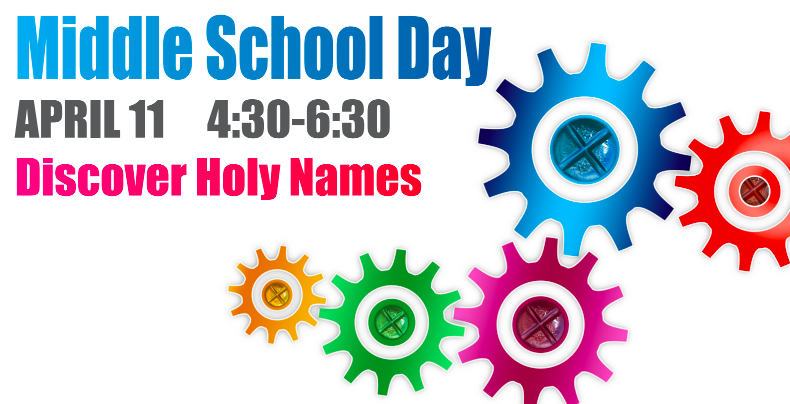 Engage with Holy Names Engineering students in a NASA inspired STEM activity and play side by side with Monarch student-athletes! The evening will conclude with a taco bar and goodies from our cupcake bar! This event is free for all middle school students. Please RSVP here.